The LTD 400 Series is designed with the professional performing and recording musician in mind, but is available at a price that even casual players can afford. 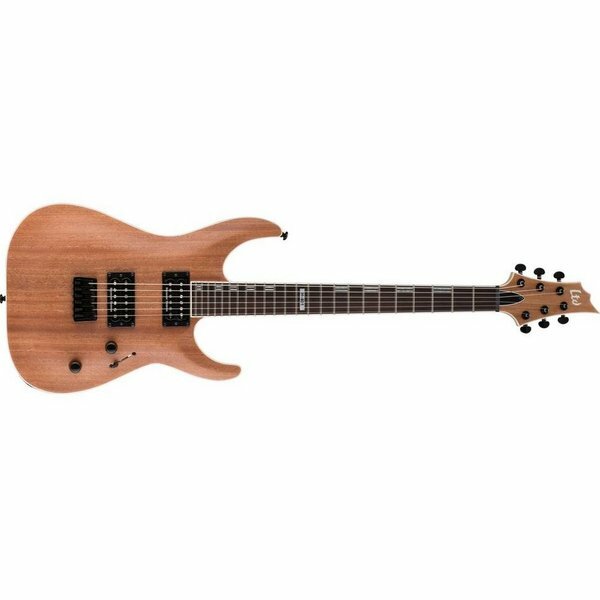 The H-401M is an excellent example, with its great-looking natural mahogany top, fully-bound body, neck, and headstock, and set-thru construction at 25.5" scale with a three-piece satin-finished maple neck. Its components are also aimed for pro players, with a high-output Seymour Duncan Jazz and Custom-5 pickups, Grover tuners, and an LTD fixed hardtail bridge. The H-401M looks great with its contrast of Natural Satin-finished body and black hardware.